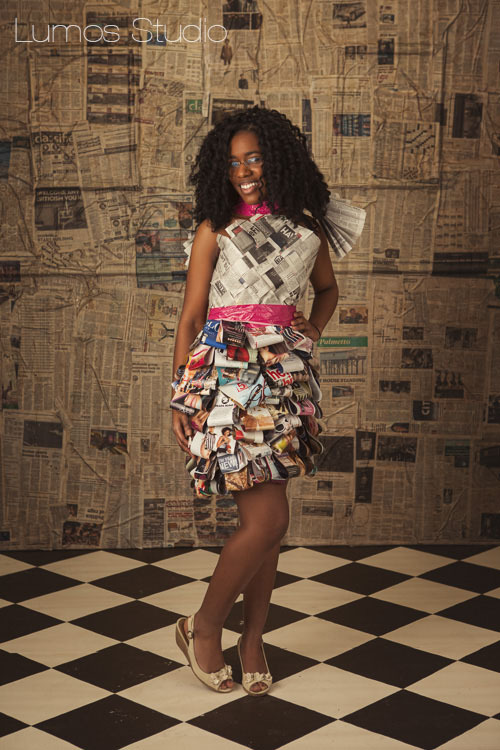 Last Friday night, students from Spring Valley High School took to the runway to show off handmade fashions created from materials that would have otherwise been bound for the landfill–in other words, Trashion. 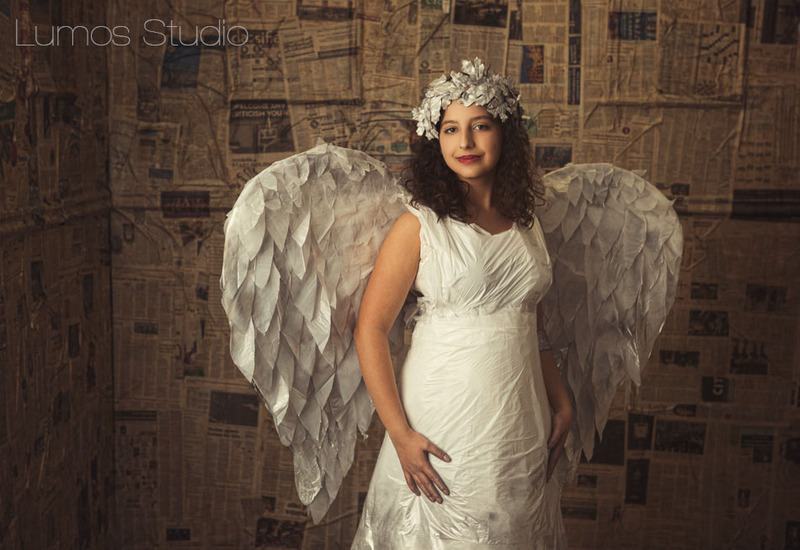 Above you’ll find proof that creating something from nothing isn’t just thrifty, it can be downright angelic. And speaking of angelic, the event was also a fundraiser for The Souper Bowl of Caring, a wonderful organization that got its start with high school students right here in Columbia and now helps to feed the hungry all across America. 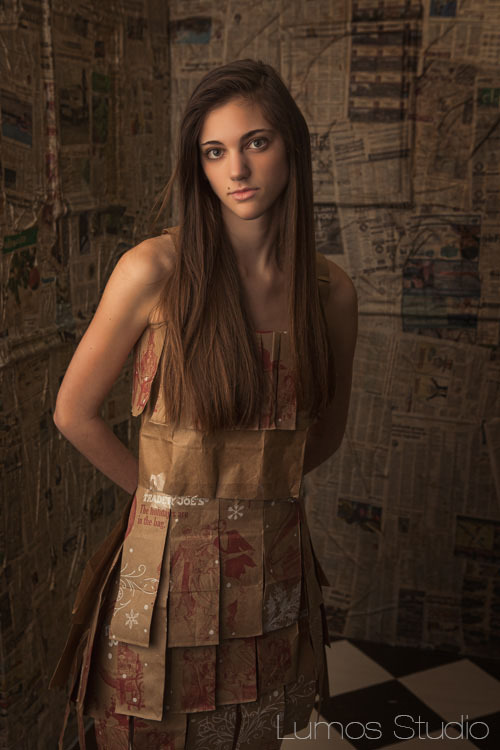 Below you’ll see an amazing rice-bag dress which demonstrates that rice isn’t just good when you want to eat a thousand of something. 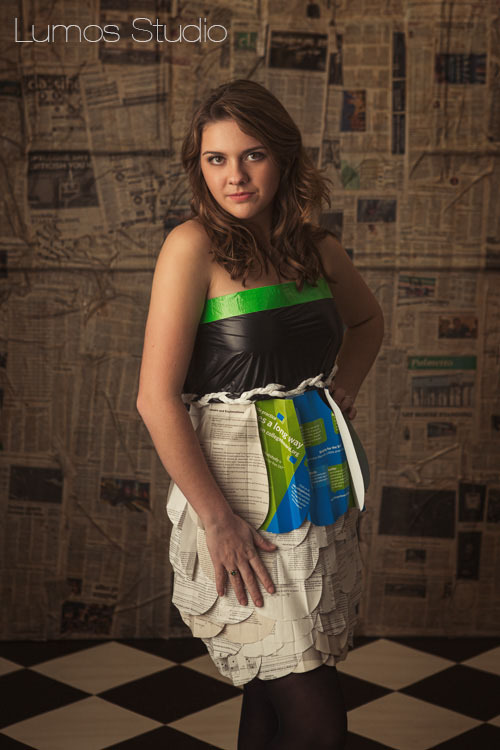 Below you’ll find a colorful top and purse combo woven from discarded magazines paired with a trash bag skirt. The guys got into it, too! 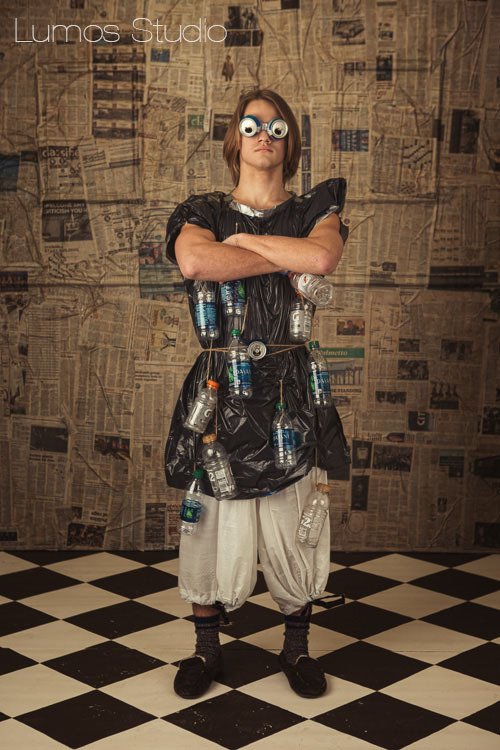 This trash bag/recycled bottle ensemble assures you you’ll be well hydrated for the coming apocalypse. 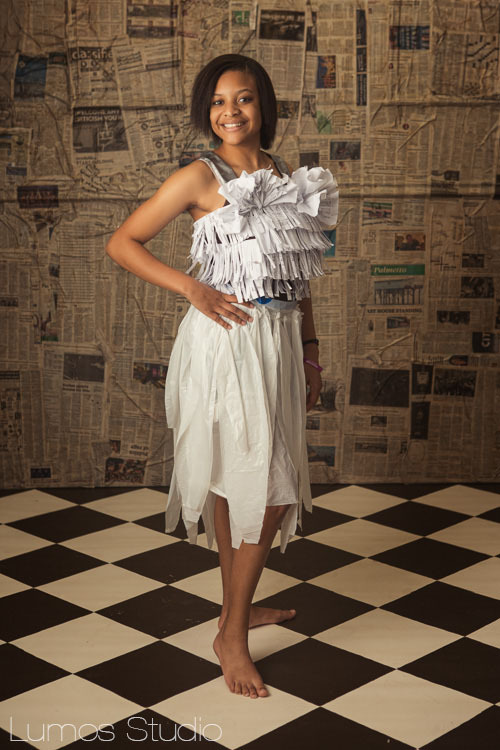 What do you do with your old SAT study guides when you’re done with them? Take them out for a night on the town, of course! 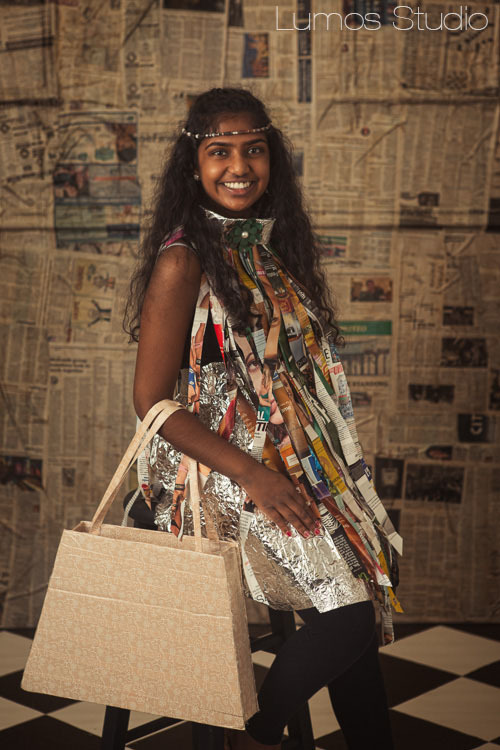 The mix of materials plus the handmade purse make this trashion a can’t-miss for 2016! 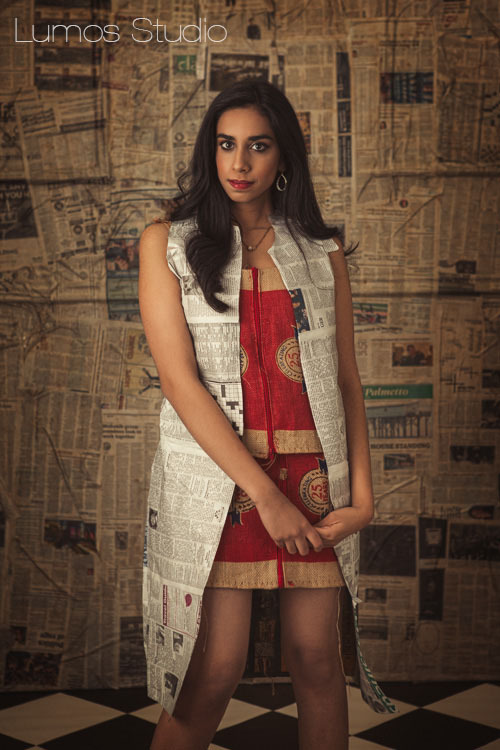 Woven newspaper and magazines make this ensemble a bibliophile’s delight, but it’s the (slightly hidden) Elizabethan collar that’s worth reading about. Clearly, print is not dead! 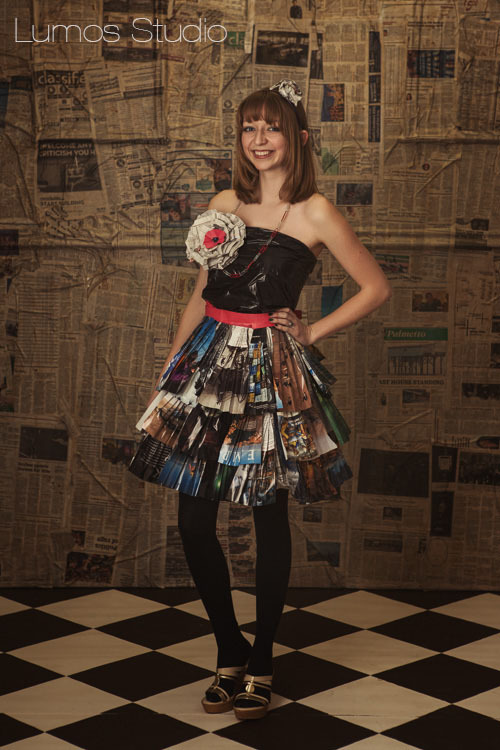 Love the floral punch and charming hairpiece on this magazine and trash bag dress! 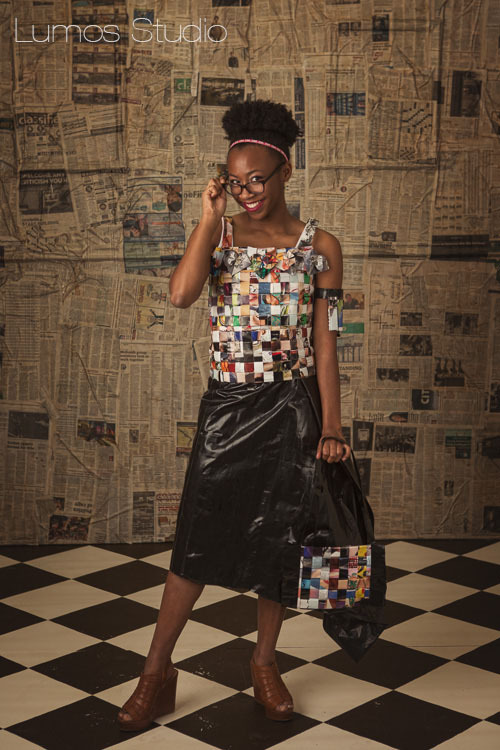 Candy wrappers make a sweet addition to any wardrobe! 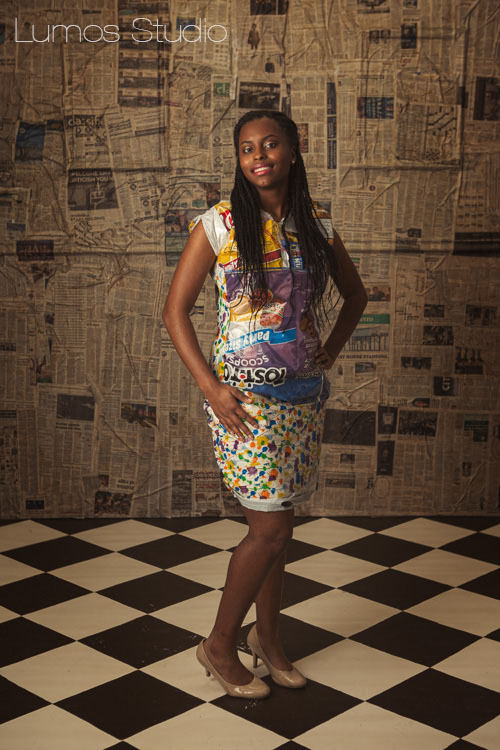 This tasty dress makes running out for a midnight snack into an event! Finally, allow me to introduce the winner. 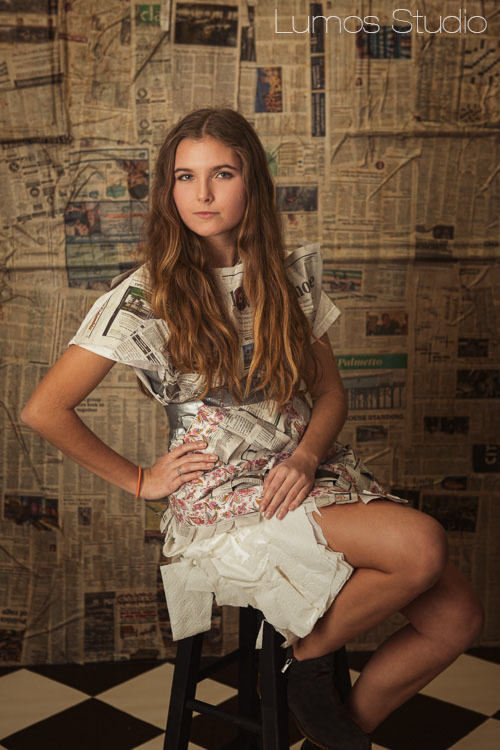 With a floral-theme top and a sweet-scented skirt accented with tea bags, this was the outfit that ultimately won over the judges in a field filled with fierce competition! 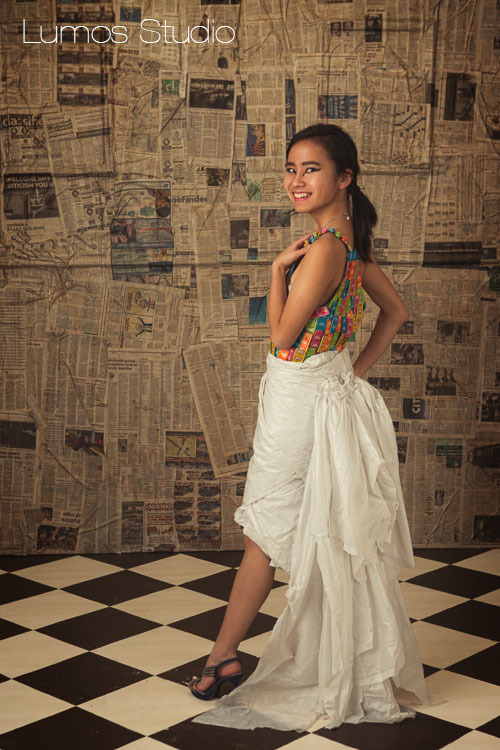 Congratulations to the winner and to all the designers, models, and organizers who made this great event possible!